Directed by Anthony Mandler and scored by Noah “40” Shebib. Drake has been teasing his VIEWS-inspired short film entitled Please Forgive Me for a minute. 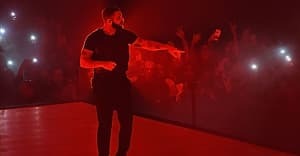 After announcing the drop earlier today on Instagram, Drizzy has released the visual project on Apple Music. Directed by Anthony Mandler and scored by Noah “40” Shebib, Please Forgive Me follows the narrative of Drake and his lady, played by actress and model Fanny Neguesha. Watch it here. View a short trailer of Please Forgive Me below.